Zürich Openair has been held every year since 2010, so it’s a relatively young openair which is just turning 5 this year but that has already hosted many renowned international bands. It takes place in Glattbrugg just in the outskirts of Zürich and pretty close to the airport. This year it runs from Wednesday 26 August to Saturday 29 August 2015. Zürich Openair is probably the most indie of Swiss festivals, focusing mainly on indie-rock, alternative rock and rock n’ roll bands but leaving an important place also to electro acts. Every year some of the biggest indie-rock bands play here like Arctic Monkeys and Franz Ferdinand in 2013. This year the line up is incredibly attractive, there are so many great bands that I’m afraid I won’t be able to see them all! A few names? The Libertines, Stereophonics, TV On The Radio, Interpol, Bastille, Tame Impala and oh so many more! The Libertines is one of the headliners and I’m sure also one of the most awaited acts of this edition. Recently reunited after more than 10 years of break they will open the first night! Some alternative rock legends like Interpol and Stereophonics are playing, as well as newer bands like Milky Chance. 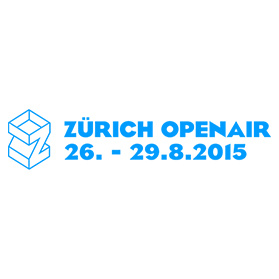 The other half of Zürich Openair is dedicated to electro music and DJs. This year its battle horses are Paul Kalkbrenner, Skrillex and Rudimental among others.